Family Problems: What to do about Splash and Wham-o? We're all family, right? Yet, some problems are too embarrassing to discuss. Begrudgingly, let's talk about Splash and Wham-o. Splash was a problem the first time you opened the Fourth Generation truck's tailgate. 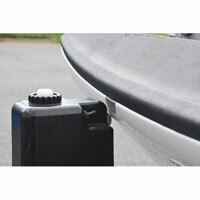 Water accumulated on the plastic aero-lip of the tailgate cover and you got a splash on your front side when you dropped the tailgate. Such a poopie design. Wham-o, he came along a little later, like the first time someone else dropped the tailgate onto a close-by trailer jack. Bam/thunk! Now there is a big dent in the tailgate's horizontal edge that no one knows anything about. Such a poopie design. Our replacement plastic tailgate protector corrects the problem that Splash created with a flat surface instead of the aero-lip. 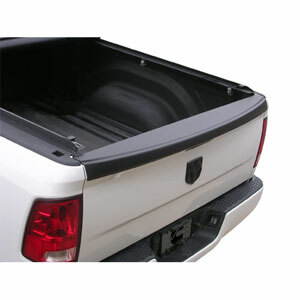 Our plastic tailgate protector corrects the problem that Wham-o created by wrapping (covering up) the tailgate's horizontal edge. This is a heck of a lot cheaper than repairing a tailgate. The Splash and Wham-o cover is textured similar to the factory plastic cover. 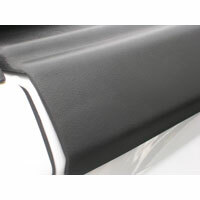 We supply new mounting clips and 3M double-sided tape to hold the cover in place. 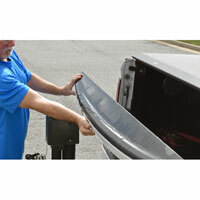 Keep yourself dry and protect (cover up) your tailgate with the Splash/Wham-o tailgate protector. Also fits 2009 to 2018 Ram 1500's and 2019 Ram 1500 Classic. NOTE: A flat $19.95 shipping fee applies to the continental U.S. deliveries. 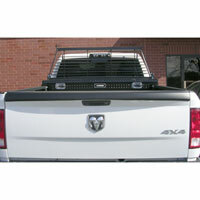 Actual shipping will be applied for all other areas within the U.S.
Just installed this on my 2012 Ram 2500 and it fits and looks great. I definitely would recommend this. "Got the FCA I needed super fast at a fair price. Even came with detailed instructions with torque specs and replacement hardware! What really impressed me was the free stickers, popcorn, and catalog. You guys are now my #1 go to for truck parts!"